Articles, posts, stories, and information about Pro/Am golf events and tournaments from Hole In One International. Sioux Falls, S.D. – Congratulations are in order for hole in one contest winners Mike Ness and Jeremy Cauwels of Sioux Falls, who each made a hole in one during the First Dakota National Bank’s 2017 Pro-Am Jam winning a combined total of $110,000 in cash, paid for by Hole In One International. Cauwels, who won $10K for making his second hole in one, aced the 150-yard, 17 hole with a seven iron on the first day of the tournament, which took place at the Country Club of Sioux Falls. While Ness, who is not only made his very first hole in one on the 135-yard Hole 12 with a 9-iron took home the staggering $100,000 prize. And more surprising than the fact the tournament had two hole in one winners is Ness, is also the President of First Dakota National Bank, the event’s title sponsor. Watch his reaction. Known for its big-name concerts and large golf tournament, The First Dakota National Bank’s Pro Am Jam benefits The First Tee Of South Dakota. The tournament features two $10,000 hole in prizes as well as a $50,000 prize on the first day of the tournament, and a $100,000 prize on the second. To learn more about insuring your own hole in one contest and making your event an even more rewarding for your players, email or give us a call today at 800-827-2249, or click here to get started planning your event. Hilton Head Island, S.C. – Hole In One International has had yet another golf winner! Congratulations to Chris Mabry of Lynchburg, Va., who recently won a BMW, valued at $50,000, and paid for by Hole In One International, when he aced the 140-yard 7th hole at the Harbortown Golf Links during the RBC Heritage Pro-Am sponsored by Boeing. Mabry, who, ironically, happens to own a couple car dealerships, was playing in his fifth Heritage Pro-Am with professional Brooks Blackburn. A 16-handicapper, Mabry aced the shot with a pitching wedge, winning a BMW of his choice. Mabry is no stranger to hole in one coverage; he uses hole in one insurance at his dealership to cover the cost of a prize if there is a winner during the golf events he sponsors. Want to give everyone who plays in your next golf tournament the chance to take home an amazing prize? Hole In One International can help! Visit our website or give us a call today at 800-827-2249. Have any Club Professionals participating in your upcoming golf outing? Great news! 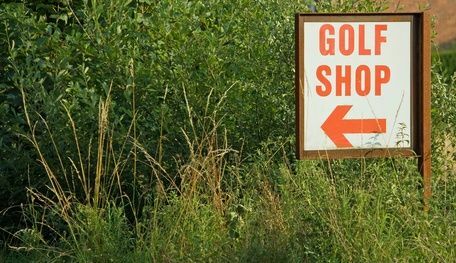 If you’re insuring a hole-in-one contest, Million Dollar Shoot-out or putting contest, you don’t have to exclude them from participating and/or possibly winning the insured prize that’s at stake! That’s right: Hole In One International will happily insure any/all Club Professionals in your event! Sure, they’re a little more costly to insure (3x the price of 1 amateur golfer, to be exact) given their skill level; however, when you take the odds into consideration, it makes perfect sense. Did you know that the odds of an amateur golfer making a hole-in-one are roughly 13,600 to 1, while for professional golfers, those odds are lessened all the way down to 2,500 to 1! Give your Club Professionals (and even Tournament Professionals!) a chance to win big with a single swing (or putt), compliments of Hole In One International… call us today at 800-827-2249 for a free, no-obligation quote and/or more information! You can also email us at any time or even go online and obtain a quote, as well as bind your coverage! Best of luck with your golf tournament this year!